With a newly expanded facility in East Greenwich, Rhode Island and newly appointed Leadership, DEWETRON Inc, one of Rhode Island’s quietly growing small businesses is poised to become a Rhode Island giant. In addition to the CEO of DEWETRON GmbH choosing Rhode Island to be the seat of the CEO office, DEWETRON Inc, a wholly owned subsidiary, announced the appointment of Steven DiPalma as the Chief Operation Officer earlier this year. 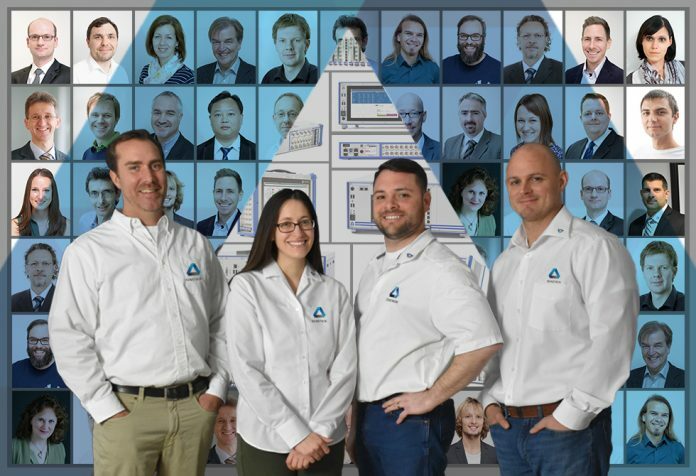 The bold strategic planning and broadminded leadership of this new management team opened the door to the previously unthinkable – local customer care that supports the people using DEWETRON products as well as the products themselves. Revolutionary idea. Even the most reliable systems require regular, planned and preventative maintenance and calibration to perform at optimum levels and lengthen the life of the system. DEWETRON’s North American Customer Care Center offers North American customers all these services in a fraction of the time it used to take and without the international shipping charges. Joseph Parenteau, a twelve-year DEWETRON Inc. employee was the first choice in Manager for the new business unit. Joseph has been with DEWETRON for twelve years. In that time, he has built and serviced DEWETRON products, calibrated countless systems and devices as well as managed the Quality Assurance team. Having worked in every technical capacity within DEWETRON, USA, Joseph is able to apply his vast technical knowledge to the Customer Care Center as the USA CCC Manager. Critical to the business practices put into place by DEWETRON Inc’s new leadership is the idea that customers are people who need to talk to people they know and trust. With this idea in mind, Rachael Audette was added to the CCC team as the Customer Care Coordinator. Rachael is a real person and is quickly becoming a familiar voice. She will answer questions, schedule repair, maintenance and calibration and even send you reminders when annual maintenance is due. And you thought only the dentist sends you cleaning reminders. Rounding out the Customer Care Center team are Greg Doucette and Corey Clark, long time Application Engineers who are available to help get newly purchased systems up and running and to answer questions along the way. Both Greg and Corey are firm believers in hands on training often employing the tried and true practice of I DO, WE DO, YOU DO when conducting training – on site or offsite. It is all about the people operating the DEWETRON systems, without people the system is a handsome grey and blue paper weight. Forget Business to Business. It’s People to People. New Leadership. New Facility. New Ideas.